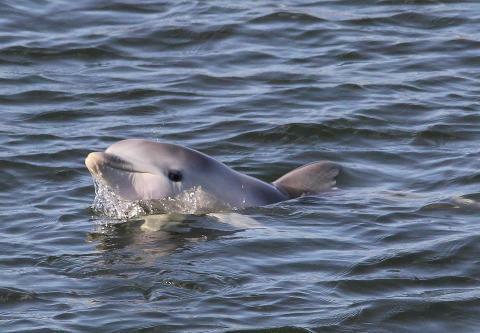 This is a GIFT VOUCHER for our DOLPHIN SANCTUARY SUP TOUR and does not have a specific date associated with the purchase. The lucky recipient can chose a date from our booking calendar and book online or over the phone with the voucher number. After completing the purchase an electronic voucher with voucher number and basic details will be emailed to you automatically. This can be printed or given electronically by forwarding the email. The name/s of the lucky recipient/s and a special message can be added during purchase in the appropriate fields under your payment details. The payment details are that of the purchaser not recipient. If you do not place a recipient name in the required field the system automatically enters the purchaser's name. If you are not happy with the text on the electronic voucher please contact us as we can edit this and resend. We know the importance of a gift being just right! 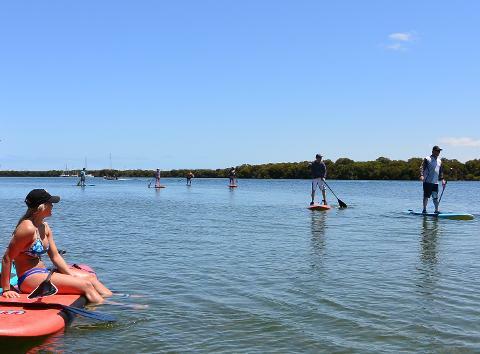 Stand Up Paddle Boarding is all the rage. This is an experience the lucky recipient will treasure forever. 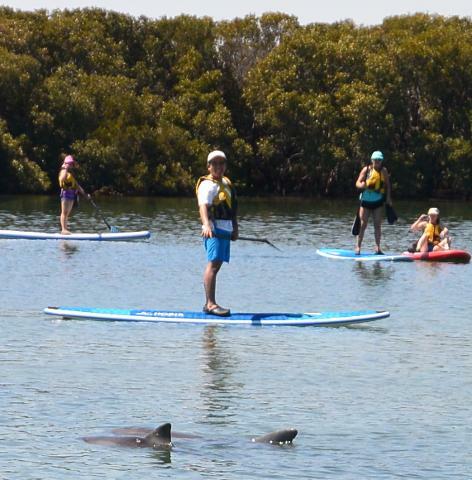 They can come explore the calm waters around Garden Island in the sensational Adelaide Dolphin Sanctuary, the best location for calm water paddling in Adelaide. 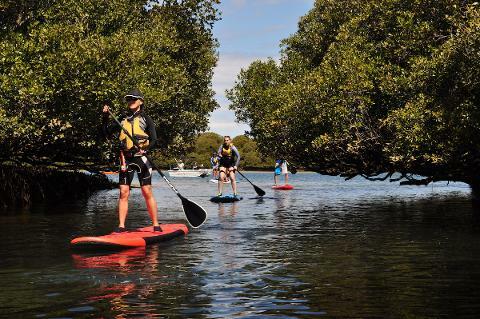 We will introduce basics of Standup Paddle Boarding, the foundation skills, water safety and awareness that will open a new world of activity and adventure. 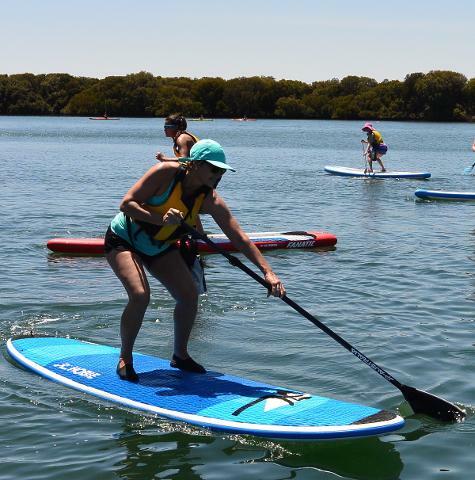 This tour is the best way to trial Stand Up Paddle boarding and includes an on water safety and skills lesson lead by one of our friendly and fully qualified instructors. 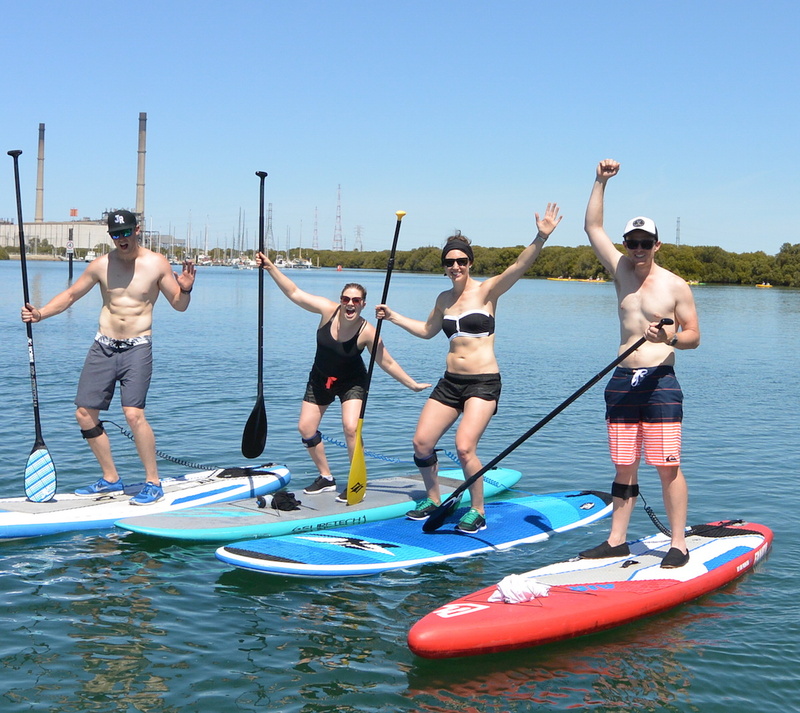 Stand Up Paddle Boarding is an easy activity to get into and with the advice of our instructors you will develop the best techniques, avoid bad habits and become aware of critical safety issues. 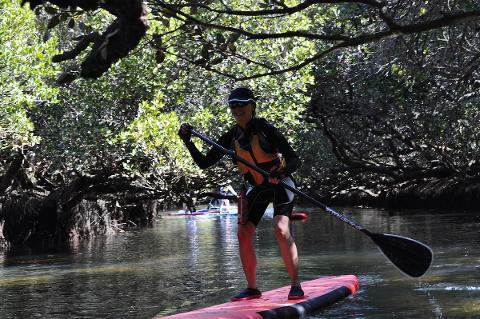 Quality boards, paddles and PFD's are supplied.